People new to the world of exercise often choose running as part of their overall program, but find it’s almost too taxing at first. Here are ways to make running easier that will pay big dividends in results. Start with the basics. Dress comfortably and appropriately for the weather. Make sure you’re adequately hydrated when you start and carry water with you, particularly on hot days. Avoid running at the hottest part of the day in the summer and slowly adjust to running in the cold weather of winter. Run slowly at first and pick up the pace. Like many marathon runners, saving your strength to make it to the end of the run is important. Start your run with a walk and work into a brisk walk then run once you’ve warmed up a bit. If you’re just beginning a running regimen and are completely out of shape, walk and intersperse running periodically into your walk. Not only does it allow you to set your own pace, it’s a form of high-intensity interval training, which is good for the heart and burns loads of calories. Stay focused on the road ahead. If you’ve ever been to Las Vegas and walked the strip, you know how deceiving distance can be. I had a friend who walked from Caesar’s Palace to the Luxor, thinking it was just a short distance since the pyramid looked so close. Of course, it was almost two miles, but she didn’t realize it until she got there, since she was so focused on the road ahead. Stay focused on a target in the distance and you’ll trick your mind into thinking it’s closer. Make the run your getaway. You probably do want to carry your phone, just in case you have an emergency on the run or need help along the way. While it doesn’t happen often, it’s reassuring to know you have it along. Keep your phone turned off, at least until you arrive to your turnaround point. At that point you can turn it back on, to retrieve messages. You can turn it off again or leave it on for the jog home. 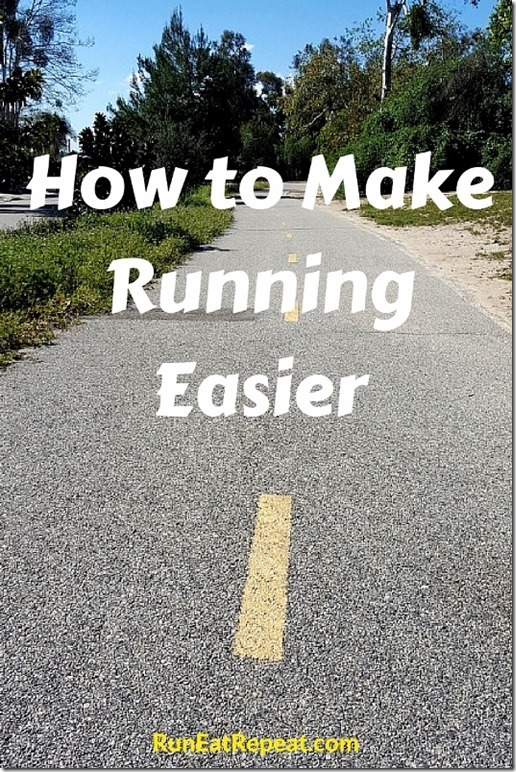 – Run with a shorter stride at first. The shorter stride will require less effort and keep you running longer. – Lean forward as you run. It allows your to let gravity help you run, using forward momentum to help make the run easier. – Get good shoes. When people dress for a run, they often forget their footwear, which is critical to running. If you buy anything new, make sure it’s good running shoes. They need to be replaced every 350 miles.